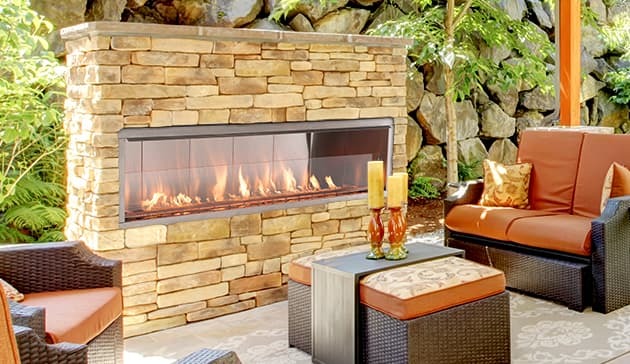 Light up outdoor living with the VRE4600 Series linear gas fireplaces. Flames dance on a bed of crushed glass while adjustable, full-spectrum LED lights enhance the mood or season. Weather-resistant stainless steel offers both durability and eye-catching appeal for outdoor spaces. The VRE4600 Series fireplace allows single-sided or see-through installation.